NORTH BAY, Ont. — A winter’s worth of bird-dogging comes to fruition Saturday for the North Bay Battalion and 19 other Ontario Hockey League clubs. 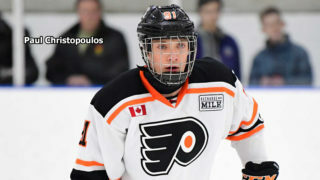 A total of 302 players are expected to be picked in the 15-round OHL Priority Selection to be conducted over the Internet starting at 9 a.m., when the Kingston Frontenacs will make centre Shane Wright of the Don Mills Flyers minor midgets the first overall choice. The Battalion, with a total of 16 picks after trades, hold the eighth selection in each round based on the inverse order of the overall standings in 2018-19 but will pick ninth in the first round because the Peterborough Petes have a compensatory pick at No. 5 after the failure to report last season of left winger Will Cuylle. The Petes also received a compensatory pick at the end of the second round, a choice that, after being traded twice, will be exercised by the Owen Sound Attack. “We’re looking to pick up the best player available in the early picks and know what we’ve built in the past couple of years, somebody that fits into our culture and is going to contribute,” Adam Dennis, one of two assistant general managers and an assistant coach with the Troops, said Friday. Stan Butler, director of hockey operations and head coach, head scout Errol Hook and the club’s regional scouts will assemble at Memorial Gardens for the selection process. They held a final meeting Friday at the same venue. 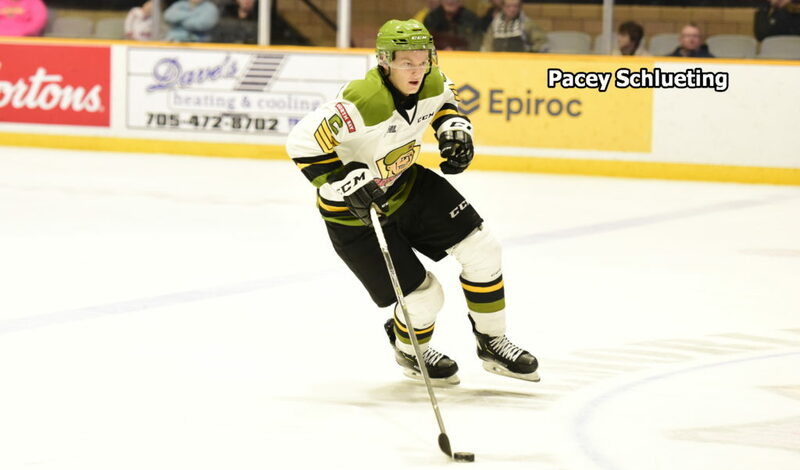 North Bay’s first pick last year, also ninth overall, was defenceman Pacey Schlueting from the North Bay Trappers minor midgets. 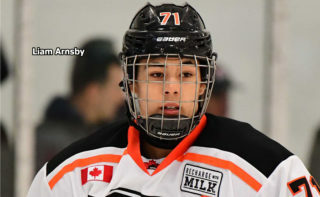 Wright, who turned 15 on Jan. 5, was granted exceptional player status by Hockey Canada to be eligible for the OHL Priority Selection this year, which features players born in 2003. 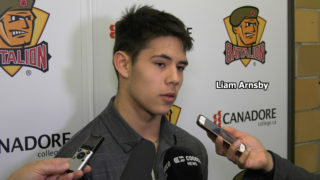 Wright is the fifth OHL player to be eligible a year early, after centre John Tavares in 2005, defenceman Aaron Ekblad in 2011, centre Connor McDavid in 2012 and defenceman Sean Day in 2013. Tavares, Ekblad and McDavid were chosen first overall in their respective seasons and later went No. 1 in the National Hockey League Draft. In its expansion season of 1998-99, the Battalion had underage centre Jason Spezza in its lineup for Brampton, but he played under a residency rule in effect at the time. “There is a reason Shane was granted exceptional player status,” Frontenacs general manager Darren Keily said at Kingston’s city hall. 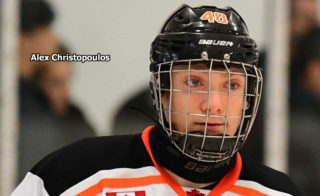 Wright was named the Greater Toronto Hockey League’s minor midget player of the year after scoring 66 goals and earning 84 assists for a league-leading 150 points in 72 games. Don Mills, undefeated in regulation play, captured a league title and the OHL Cup championship. 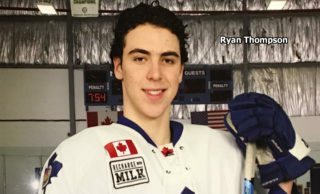 Wright, named most valuable player, had 18 points in seven OHL Cup games, including an assist on the overtime winner in a 6-5 decision over the Toronto Red Wings in the title game. Wright captained Ontario at the 2019 Canada Winter Games, earning a silver medal.